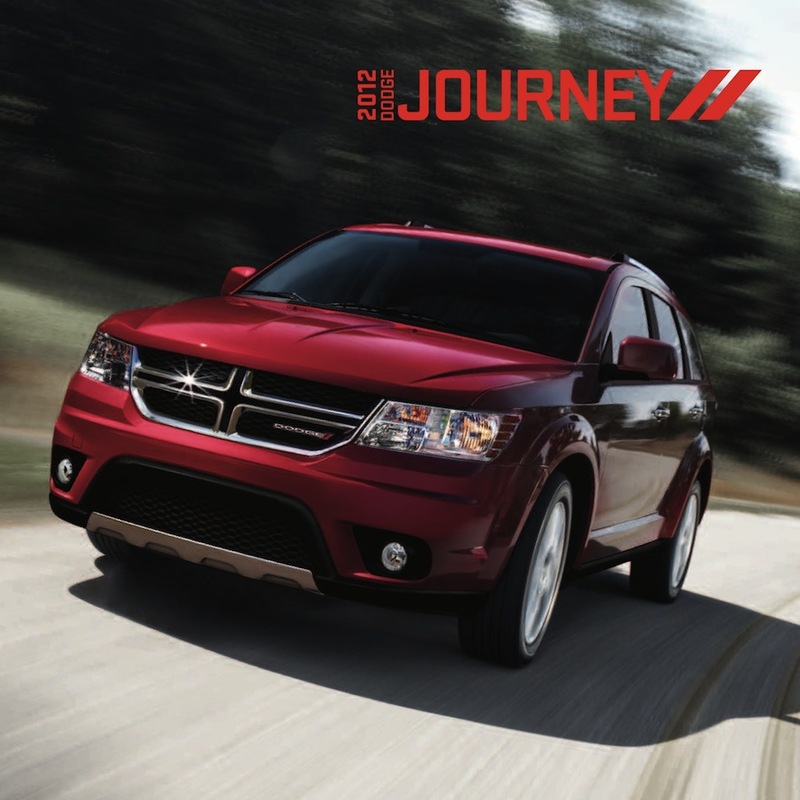 Sales brochure for the 2012 Dodge Journey. Models include the 173hp 2.4L 4-cylinder AVP/SE, 283hp 3.6L V6 SXT, 283hp 3.6L V6 Crew, and the 283hp 3.6L V6 R/T. Exterior color options are White, Bright Silver metallic, Brilliant Black crystal pearl, Copperhead pearl, Brilliant Red tri-coat pearl, Storm Gray pearl, Blue pearl, and Pearl White tri-coat.